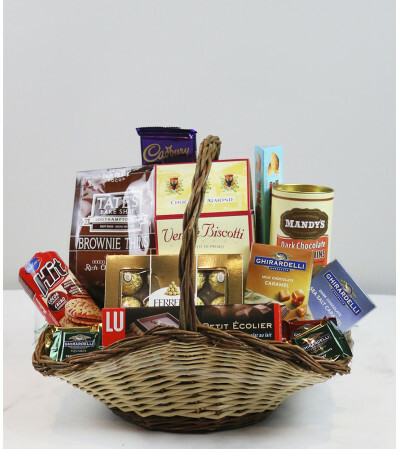 A chocolate lovers dream basket filled with a mouth watering mixtures of chocolate delicacies. 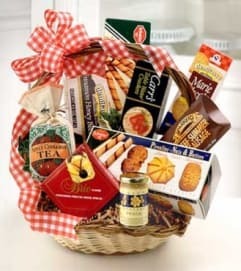 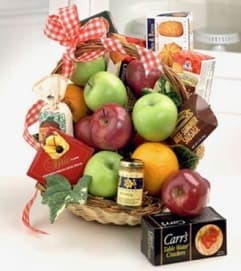 Brownie bites, assorted chocolate cookies, Ghirardelli bars, Toblerone, Cadbury chocolates, Ferrero Rocher chocolate, and chocolate covered biscotti fill this basket to the brim. 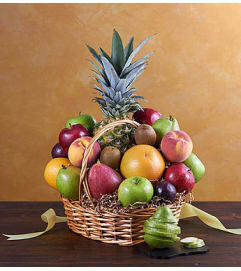 Now who wouldn't want to dive in?